You know the basics of willful misconduct already, but you’re curious about more of the specifics. We got you. Willful misconduct can be a career ending misstep for some, and it can also result in loss of unemployment compensation further crippling you as you search for new employment. An employer may try to prove that you knowingly broke a company policy. However, if you were unaware of the rule and broke it accidentally, then you may not be deemed a case of willful misconduct. Breaking a rule for good cause could also release you from a willful misconduct label. Louis works with a high security plant, and he was told multiple times that bringing a cell phone into the plant was against company rules. Signs are posted in every entry way to remind employees. Louis tried to sneak his cell phone into the plant, was caught, and received a stern warning. This happened twice more, where he received warnings. When Louis’s manager caught him photographing work plans with his cell phone, he was fired immediately for willful misconduct. Each situation will have to be judged on its own information. However, the below list represents a few good reasons that an employee might break a well-known company rule. When an employee fails to follow the company rules, it’s not uncommon for employers to label that employee with willful misconduct. However, it may not be willful misconduct if the rules were unreasonable or your refusal was justified. It’s important to also explain to your manager why you chose not to follow a company rule unless you believe they already know why. Angela works for a business that operates heavy machinery. The rules require employees to wear steel-toe boots. Angela works the front desk and rarely interacts with the heavy machinery. When she broke her foot, she wore one steel toe shoe and her cast. She was unable to follow the rules and her manager recognized that. But the VP of the company fired her for not following the rules and tried to block her from receiving unemployment by saying she was a case of willful misconduct. A key component to employment is putting in the hours, whether that’s clocking in on schedule or meeting your quota of hours every week. Being late or never showing up can become a problem that could result in your termination, but it also could mean being labeled as willful misconduct and losing your unemployment compensation. Every company handles these problems differently. Greg’s work keeps rigid work hours. Tardiness is only permitted three times. However, it also depends on the manager in how tardiness is handled. His first time late, Greg received a verbal warning. He later observed a female coworker be continually late without reprimand, but when Greg was late because of a doctor’s appointment that ran over, he was issued a write up. A week later, Greg started his shift after his starting time because of car trouble, which he informed his manager about. His manager fired him for tardiness and said he was willful misconduct. Company policy varies business to business. Therefore, not all excuses are viable. But, in some cases, a judge might rule that you had good cause for not showing up for work or being later. The legal system has this standard called “reasonable person,” where every individual is compared to a hypothetical human being who is average in all things. If a situation doesn’t pass the logic test of a reasonable person, your case might not have a favorable outcome. When an employee fails to meet certain reasonable requirements of employment and are fired, they are likely not to be eligible for unemployment compensation. What’s Good Cause for Willful Misconduct? Okay, good cause has already been mentioned above, but you need to know exactly when you have a justified reason to appeal an accusation of willful misconduct. After all, willful misconduct can keep you from receiving unemployment compensation. And a good cause for breaking company policy can regain your unemployment compensation. Good Cause – a real and compelling reason that any reasonable person would do when faced with a certain employment situation. Keep in mind that good cause is not being bored with working and not wanting to work. It must be a legitimate reason. And it must be valid in the eyes of the court as well as any reasonable person. Employees and employers alike tend to misunderstand what willful misconduct is. But an accusation of willful misconduct can keep a former employee from receiving important unemployment compensation. When you are denied unemployment compensation because your employer claimed willful misconduct, your employer has the responsibility to prove that willful misconduct. However, you shouldn’t just sit around. You want to enter the discussion with knowledge and be able to negate every accusation. Although it’s not your responsibility to prove that you are innocent of willful misconduct, you need to have an answer ready to refute accusations. To best prepare for that moment, you want a lawyer who can guide you through the process and represent you. 1. 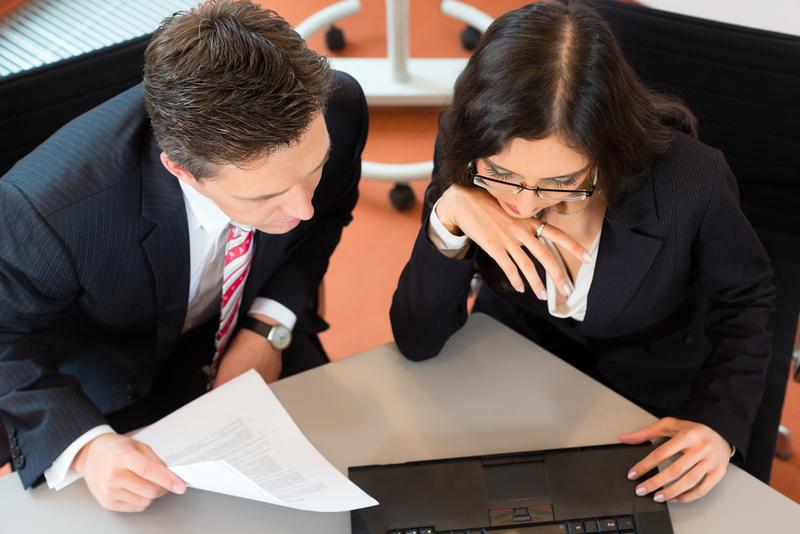 Your Lawyer analyzes Your Employer’s Reasons for Opposing your UC Benefits. Employers often base their decision to oppose a former employee’s request for UC benefits for two different reasons. Those common justifications of opposing unemployment benefit claims are willful misconduct or a voluntary quit. Understanding why your employer opposed your UC benefits sets the foundation for your lawyer’s response. Your employer will bring evidence to prove that you intentionally misbehaved while working for them, which disqualifies you for UC benefits. You will need to prove that your workplace environment was so hostile that you had no other good option except to quit. Otherwise, you’ll lose your UC benefits. Based on the reason for your employer’s decision to oppose your unemployment compensation, this will determine who is responsible for proving what. For the most part, the former employee must rebut the accusations brought against them. When you are in the role of responding to claims against you, delivery and flexibility are vital to your argument. For example, you should never become defensive—only calmly sharing facts (this is why lawyer representation is critical). Flexibility is important because you want to only respond to your employer’s accusations. You don’t want to lose your unemployment compensation because you added extra evidence against yourself. This means being quick on your feet and being able to change plans mid-appeal. When you submit evidence for your hearing, you must be extremely selective. Yes, evidence can be helpful, but too much evidence could be used against you. This is why having attorney representation is always suggested. Sometimes an employer doesn’t provide any evidence so your evidence could play double duty, and you want to provide evidence that only supports your claim! The key to responding well to questions during a hearing is not rambling and coming prepared. Before the call, you’ll want to work with your lawyer to develop your talking points and corresponding facts. Don’t get stuck in a rut of a speech, but keep your responses flexible to adapt to questions. In many situations, it’s best not to be detailed but briefly summarize the circumstances.